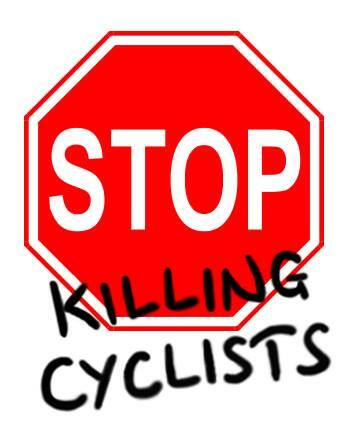 HM Treasury: 10 by 2020 Stop Killing Cyclists Protest !! Tragically in the past week Karla Roman, Anita Szucs Ben Wales and an unnamed person have been killed whilst either cycling or walking in London, Stop Killing Cyclists will be holding a vigil and die in to remember them as part of our protest. This highlights the need for safer streets for pedestrians and cyclists is now more pressing than ever. What: Stop Killing Cyclists are staging a protest and Die-In outside HM Treasury on Horseguards Parade, demanding that the Chancellor Philip Hammond increases investment in the UK’s national protected cycling infrastructure and walking to 10% of the transport budget by 2020. Where: Protesters are meeting outside the National Gallery and marching to HM Treasury,1 Horseguards Parade, London, SW1A 2HQ for rally and Die-In. When: Assembling at National Gallery from 1pm. Rally and Die-In at HM Treasury at 2pm. Protest will feature children playing in gas masks in front of Hammond’s Treasury. This will symbolise the thousands of UK children, whose lungs are being stunted from living on traffic polluted streets or attending polluted schools, as well as our signature Die-Ins representing the tens of thousands of people dying from transport pollution and inactivity diseases due to lack of protected cycle lanes. Please bring gas or pollution masks. “Air pollution is poisoning millions of people in the UK, whilst traffic carbon emissions are contributing to the climate emergency. Road danger means most people do not feel safe cycling on UK roads, which means they lack life-saving physical exercise”. He added: “There is now an urgent health crisis which is costing the NHS billions. It is now crucial that our national cycling infrastructure gets its fair share of national infrastructure investment.” Cycling and walking are crucial to creating a healthy and sustainable UK. Successive governments have lethally underfunded active travel and current spending plans would further reduce the cycling budget to less than £1 per person in England. This compares with the Dutch investment of about £24 per person per year. The government must urgently commit to radically increasing the funding for cycling and walking to 5% of the 2017 transport budget and to 10% by 2020. This funding needs to further increase to 20% of the transport budget – the UN’s recommended minimum for cycling and walking. The protest welcomes pedestrians, parents, elderly, motorists, taxi/bus drivers, children, asthmatics etc., as pollution and inactivity diseases caused by lack of cycling infrastructure is causing ill-health to all sections of society. 1. Fair funding for cycling: * Invest £15 billion in a National Segregated Cycle Network over the next 5 years. (Dutch £24 per person x 64 million (UK pop) x 2 to start catching up on 40 years of failure to invest). * Invest 10% of Department for Transport Budget by 2020 in safer cycling/walking infrastructure. 2. Ban all non-zero emission private cars from cities on days where pollution levels are predicted to rise above EU safety levels. 3. Ban all diesel-powered vehicles in city-centres within 5 years. 4. Ban all fossil-fuel powered vehicles within city centres within 10 years. 5. Instigate a programme of regular car-free days in England’s major cities, along the model of Paris. 6. Stop the Killing of children – set up a national multi-billion-pound programme to convert residential communities across Britain into living-street Home Zones with an end to dangerous polluting through-routes. 7. Stop the Killing of pedestrians – establish a national programme to fund pedestrianizing/cyclisation of our city, borough and town centres, including the nation’s high-street – Oxford Street. 8. Allow city councils and TfL to limit the total number of private hire vehicles in their cities and promote the usage of zero emissions pedicabs with legal pedicab stands etc. Despite taxi numbers in London soaring above 100,000, government refusing to allow TfL to regulate taxi numbers in London. Osborne slashed the already miniscule funding for cycling investment to a tiny pathetic 6% of what Dutch are spending, whilst allocating billions more to road-building. Osborne has cut fuel duty at every single budget despite oil prices having fallen by over a third since 2012. Government banned use of camera vehicles by local councils to enforce parking restrictions. They refused to reduce speed limits to 60 mph on M1 and M3 help reduce frequency of EU pollution levels being breached. Chancellor extended first MOT requirement from 3 to 4 years., thus enabling faulty polluting vehicles to be undetected on the roads for yet another year. The London Boroughs: Saving Lives or Saving Pounds? During a 2-week period in November 2013, six cyclists lost their lives in road traffic collisions through London. This prompted many groups, both from the government and civil society sectors, to question the state of cycling and cycling infrastructure in the capital. This report has been produced from primary research into the infrastructure standards and spending of all local councils operating in London, including the City of London. The questions asked included levels of spending since the last set of local elections on the 5th of May 2010, the distance of cycling infrastructure separated from the main carriageway by a hard divider such as a kerb and the levels of planned spending for the upcoming 2014/15 financial year. The questionnaire was made in the format of Freedom of Information requests, submitted at the end of January 2014, to all 32 London borough councils and the Common Council of the City of London. At the time of writing on 23 March 2014, the following councils had failed to successfully respond to the request: Hammersmith & Fulham, Harrow, Kingston-upon-Thames, Newham and Waltham Forest. The results of this research, from the councils who did respond, paint a concerning picture. The first 2 questions asked about the distance of segregated infrastructure, as described above, and the percentage of the total road network under the council’s control that this constituted. Greenwich Borough Council claimed responsibility for 6.5 kilometres of segregated cycling infrastructure within their borough, meaning that out of the council’s that responded, Greenwich has the highest absolute distance. However, the figure of 6.5km constitutes only 1.2% of their total roading infrastructure. By contrast, the following councils have zero segregated cycling infrastructure: Barnet, Bexley, Bromley, Enfield, Haringey, Havering, Hounslow, Lambeth, Richmond upon Thames, Tower Hamlets & Wandsworth. Croydon and Southwark councils failed to provide the information for this question. The average distance of segregated cycleways, for those councils who did respond, is 1.05km. In terms of percentage, Camden Borough Council state that 1.63% of their roading infrastructure consists of segregated cycleways, giving them the highest percentage. The average percentage of segregated cycleways for those councils who did respond with appropriate information is 0.39%. Questions 3 and 4 related to the spending by councils on such segregation since the last set of local elections, which were held in May 2010. Bromley and Southwark councils responded to the freedom of information request, but failed to answer these questions. Only 2 councils that responded claimed to have spent any money on segregated cycleways since the last election; Croyden and Ealing, spending £320,000 and £400,000 respectively. All other responding councils who provided information for this question stated that they had spent nothing at all since the last election, meaning that the spreadsheet where this information was collated was left with a large series of zeroes running through the middle. Given the large number of councils who have spent no money on segregated cycleways in the 4 years since the last election, the average spend works out to be just under £27,700 per council, or £180,000 per year across all areas under local borough control. Whilst the sums of £320,000 and £400,000 may appear to be a reasonable sum of money, these transpire to be only 3.1% and 2% of the council’s total transport spending for the given time period. With so many councils responding to these questions stating they had spent nothing, the average percentage spend is only 0.2%. Questions 5 and 6 were asked with regard to the predicted spending by councils on segregated cycleways for the 2014/15 financial year, which begins in April. Some councils stated that the budget was yet to be decided and thus they could not give an accurate figure for their predicted spending. These councils were: Bexley, Brent, Croydon, Ealing, Haringey, Islington, Lewisham, Merton, Richmond-upon-Thames, Southwark and Westminster. The following councils stated that they had not budgeted any money to create safe cycling infrastructure; Bromley, Camden, Enfield, Greenwich, Hackney, Havering, Hillingdon, Kensington & Chelsea, Lambeth, City of London, Redbridge, Sutton, Tower Hamlets and Wandsworth. Only Barking & Dagenham, Barnet and Hounslow stated that they are intending to spend any money on such infrastructure, with sums of £750,000, £400,000 and £200,000 budgeted respectively. The average spend per responding council equates to £79,500. The figures above are equivalent to 34%, 11% and 9% respectively. None of these councils had spent any money on such infrastructure from the local elections until the date of response, thus it remains to be seen whether these pledges are fulfilled. Question 7 was the last question that could be answered qualitatively. It asked councils for the percentage of roads under their control which have 20 miles per hour speed limits. The following councils failed to provide information for this question; Croydon, Havering and Hillingdon. The following councils provided some information, but stated that it was up to the person asking the freedom of information request questions to do the research themselves: Richmond-upon-Thames, Southwark and Wandsworth. There is a wide variation in the levels of provision for 20mph limits across the different councils. Kensington & Chelsea have not implemented a single 20mph limit according to their response, whereas Camden and Islington both have all roads under their control set at 20mph. The responses above would appear to indicate that the majority of London’s local councils simply do not take the needs and safety of cyclists seriously. In some areas of the city, over half of morning commutes are now conducted on a bicycle, however safe cycleways only constitute 1.63% of the road surface is the highest performing borough. The average person would apply the logic that with an increasing number of the population of London using the bicycle as their transport of choice, and given that the number of cycling deaths and serious injuries are increasing whilst the same rates for other road users are declining dramatically, further spending on safe cycleway provision must be advanced without haste. However, less than 10% of local authorities in London are intending to make any progress on this during the upcoming financial year. Without such spending, it remains only a matter of time until the next cycling death. Deaths that will be the blood on the hands of those running London’s local authorities. At the time of writing, London has already witnessed 2 deaths since the new year. How many more deaths and serious injuries will the borough councils allow to happen to their residents? Waltham Forest Borough Council were the only authority to respond to the request stating that, whilst they hold the information, they will not be providing it as they believe it would cost them more than the £450 statutory limit. An internal review of this decision has been requested. Southwark Borough Council responded to the request, but for questions 1-6 stated that they did not record the necessary information to be able to answer the questions. For question 7, regarding 20mph limits, the response from the council was that we could gather the information from their website and put it together ourselves. With exception to Croydon, Southwark were the only council to claim not to know how much money they had spent on safe cycling infrastructure since the last local elections. Harrow Borough Council attempted to send a response to the request, however the file format would not open on any computer. A different format was requested in February 2014, however no response or acknowledgement to this request has been received at the time of writing. Newham Borough Council sent a reply near to the deadline stating that they would be late delivering the results. They are the only council that has not replied at the time of writing to send such a notification. Aside from the above-mentioned councils, responses are still be waited for from Hammersmith & Fulham Borough Council and Kingston-upon-Thames Borough Council. No contact has been received from either council either explaining their delay or when a response can be expected. The questions posed through the Freedom of Information act and the answers received are in the appendix: click HERE. The press release associated with this report is HERE. Information about the #WallOfDeath protest organised to present this report and its conclusions on 2 April 2014 is HERE. The campaign group Stop Killing Cyclists has submitted the response below to the consultation by London Councils about the London Lorry Control scheme. You can read about the consultation HERE. “While we welcome improved mirrors and mandatory side bars, in light of the significant danger posed by lorries to vulnerable road users more needs to be done. It is not acceptable that lorries with ANY blind spots are driven around the streets of London – this will inevitably lead to road deaths. Therefore we are calling for blind spots to be completely eliminated by the mandatory use of CCTV cameras, in addition to mandatory ‘turning left’ audio warnings.